Here’s some delicious food I’ve managed to take pictures of lately! 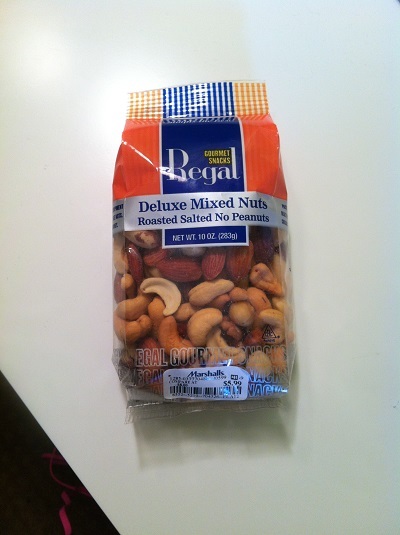 Mixed nuts. My favorite nuts in the package are the cashews and pecans, and my least favorite are the almonds. 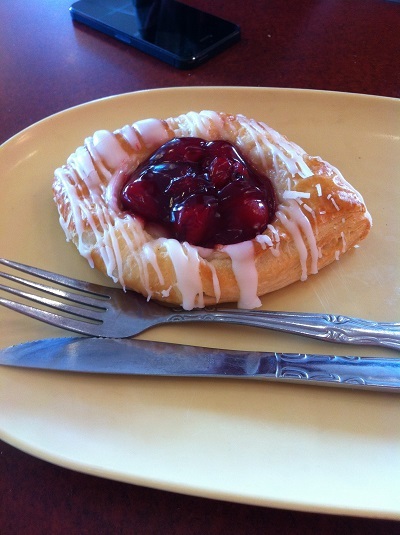 Cherry danish from Panera Bread. 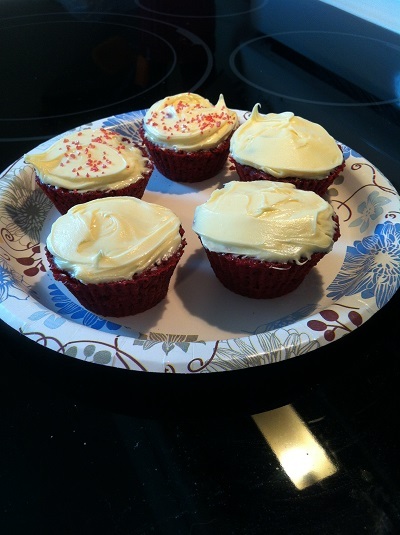 Microwaved red velvet cupcakes. I linked to the recipe in this post. 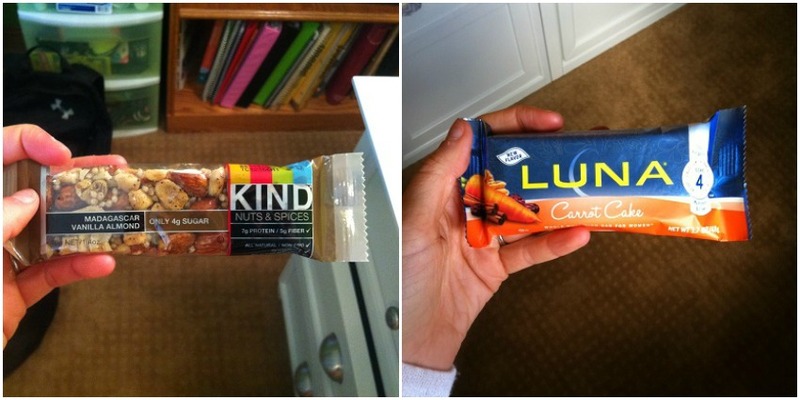 KIND and Luna Bars. These are so easy to bring to school and munch on during class when I get hungry. Nutella! 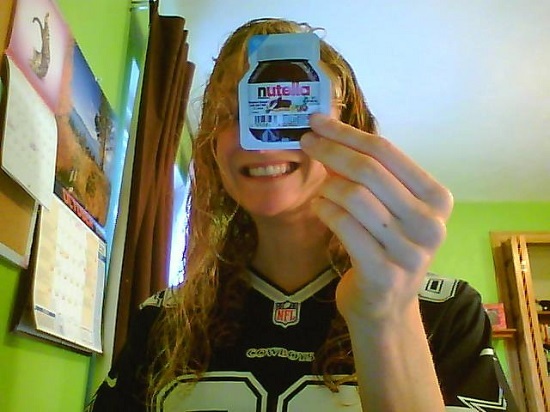 Two women at my church gave me samples of Nutella they received in the mail. I guess everyone knows I love Nutella?! What have you been eating recently?! Ohhh you have inspired me to make some tofu!! It’s been a few weeks since I’ve had some. YUMM! I always love your food because it seems so easy and normal to make. Glad all is well Allie! haha love the addition of marshmallows what a win! I always forget marshmallows exist except in the summer (for s’mores). I found some laying around, and I was like umm these NEED to be on that snack! Mmmm, those red velvet cupcakes look divine 🙂 Your tofu looks really good as well! I’ve tried making it before, and it just tasted bland. Perhaps I need to give it another try. And I love Panera! They used to have blondies I would get there allllll the time, and then they got rid of them. I was so sad! Those cupcakes look so delicious :). I can’t believe they were microwaved! Thanks, Amy!! I looove microwaved anything haha. It’s just so easy and fast! Lol about the ladies at church! I’m always the one people go to for food things, haha! Haha!! We’re in the same boat with the food stuff at church! That is so cute about the nutella! Now I am craving breaded tofu with sauce–yum! I know, right?! I was cracking up and kind of touched at the same time lol. In my fridge currently are eggs laid by my friend’s hens, and bacon from the pigs I helped raise. So good! Mmmmm, I am so jealous! 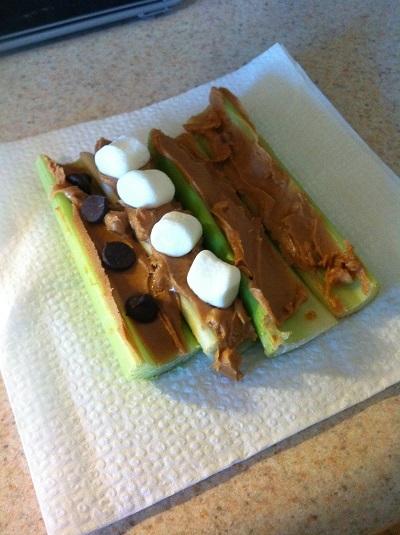 Fluffy ants on a log 😉 I am loving pumpkin spice M&Ms and dried fruit right now, especially papaya slices! Ahh now I want Panera! That sounds so good! Me too haha!! Let’s go together?! Mmmmmm panera. And love the look of your ants on a logs 🙂 Adorable! Nutella is one of Christopher’s most favorite things!